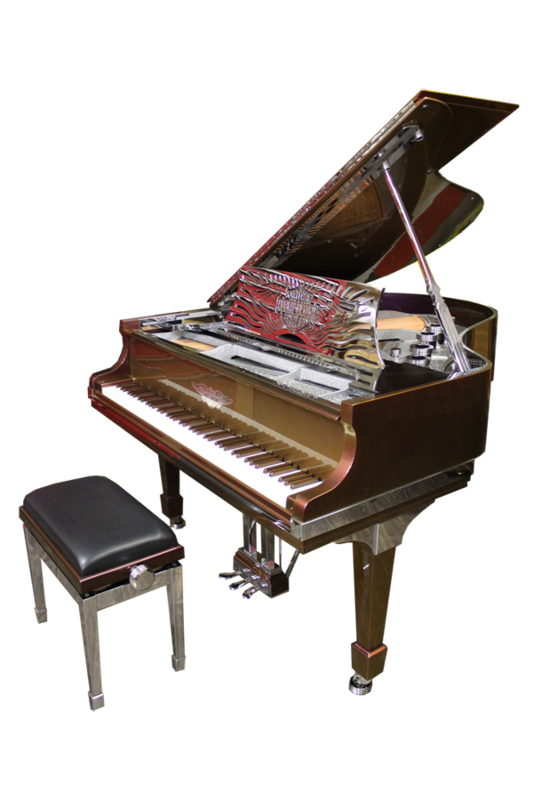 In 2007, Gene Korolev launched his first custom piano project with a new vision in custom piano restoration. 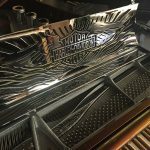 Designing a piano to pay tribute to Harley-Davidson, and commemorate the 150th anniversary of universally admired motorcycles. 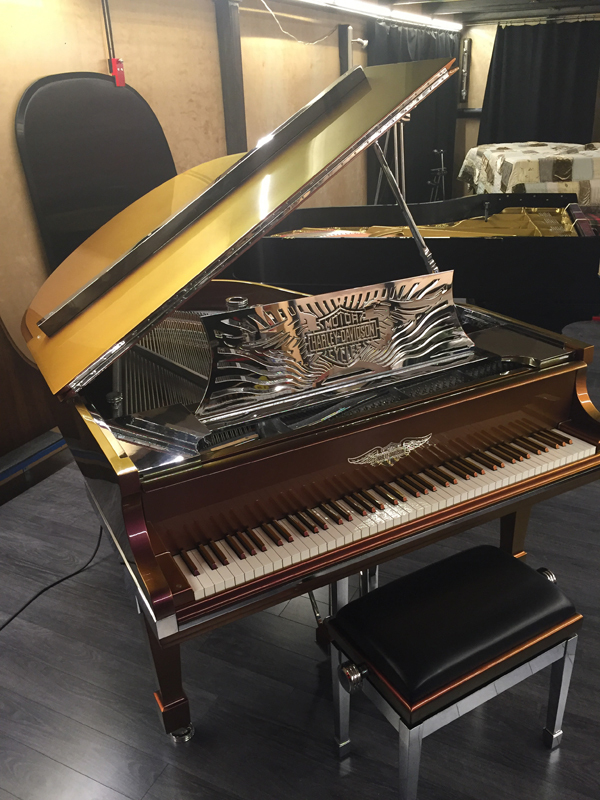 In his design, he revealed many piano innovations, showcasing new technique in trapwork as well as installation of the Live-Performance Model LX player system. 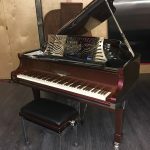 He used new materials for durability, applying aircraft aluminum on various piano parts and using chameleon paint with hue-shifting quality, never seen on a piano before. 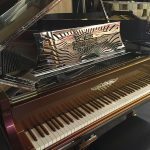 All custom designed pianos include the most advanced reproducing player system, Live-Performance Model LX. The music tracks can be played using an iPad. 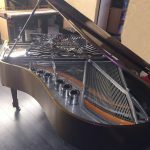 For custom piano design service, please contact us directly at 818.503.0800. 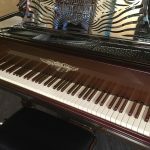 DISCLAIMER: This custom piano is not an official Harley-Davidson, Inc. product. 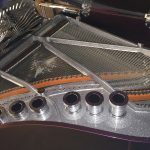 PIANO SOLUTIONS XXI has no affiliation with Harley-Davidson, Inc. or the Harley-Davidson brand. 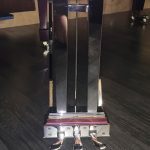 Any reference to Harley-Davidson and related names or logos is made only for artistic purpose and to present design and concept for custom made piano, tribute to Harley-Davidson Motorcycles, and not to imply any association with, or endorsement by Harley-Davidson.